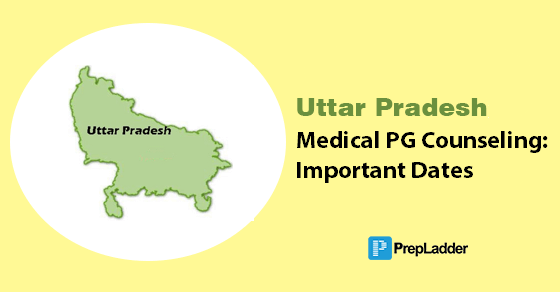 There is an important news for all the candidates who wish to seek admission to Medical PG program in the Govt./ Private Colleges, including State / Deemed University/ Minority Dental Institutions in the State of Uttar Pradesh for the session 2018. Registration is open for Uttar Pradesh Counseling for admission to Medical Postr Graduate Program i.e MD/MS/ Diploma. This blog will provide you with all the important details and dates regarding the registration of counseling process and eligibility criteria. Candidates who have passed MBBS course from the State Medical Colleges of Agra, Gorakhpur, Jhansi, Meerut, Ambedkarnagar, U.P. University of Medical; Sciences, Saifai, Etawah, Dental Faculty of K.G. Medical University, Lucknow and recognized Private Medical Colleges of Uttar Pradesh. Candidates must have completed one year compulsory rotating internship by 31 March’18 and has qualified NEET PG 2018. All such candidates who have passed MBBS from outside of Uttar Pradesh are eligible for admissions only in private Dental Colleges/ Institutes, universities.